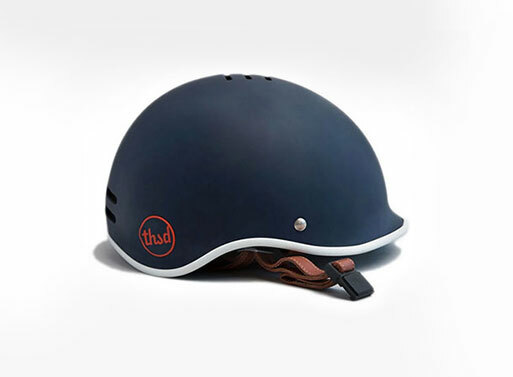 Thousand Bike Helmet - Bicivilizados. Ciclismo urbano. Alegría entre tus piernas. 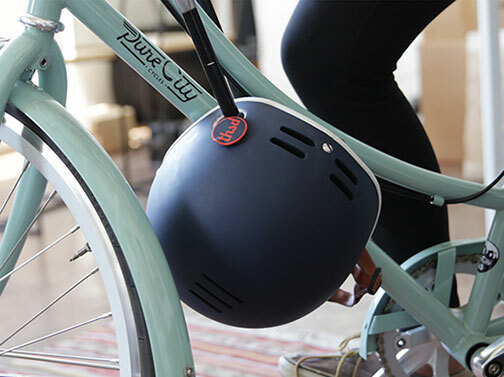 Maybe you’ll wear the Thousand Bike Helmet, if you don’t like your current one. Thousand describes the design as “Vintage Moto Meets Modern Minimalist” and that about sums it up. It also has great ventilation, a magnetic buckle, vegan leather straps, and a secret PopLock for securing it to your bike. The matte rubberized finish will actually multiply your cool factor by 3 (that’s a promise) and you can pick from 3 colors and a KickStarter-only gold edition. Back the project on KickStarter.